By Sadiq Umar – The fedral government has turned down the request by the Peoples Democratic Party (PDP) presidential aspirant, Rabiu Kwankwaso, to use the Eagle Square for his presidential declaration ceremony scheduled for Wednesday. Mr. Kwankwaso, a senator from Kano recently defected from the All Progressive Congress (APC) to pursue his presidential ambition on the platform of opposition PDP. 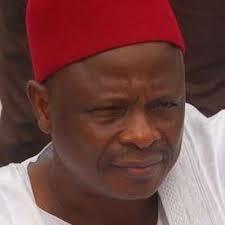 “Just 24 hours to the highly publicized presidential declaration of Senator Rabiu Musa Kwankwaso due to hold at the Eagle Square on Wednesday, the 29th August, 2018, the Federal Capital Territory Administration (FCTA) has turned down the request earlier approved for some flimsy reasons,” KCO stated. “In a letter dated August 27th, 2018 and signed by Usman Mukhtar Raji for the Facility Manager and received on August 28th, 2018 barely 24 hours to the scheduled declaration, the Abuja International Conference and Eagle Square, managed by the Integrated Facility Management Services Ltd has reversed itself in respect of approval granted the organizers of the declaration of Senator Kwankwaso,” it said. “Even at that, earlier Tuesday morning the Abuja International Conference and Eagle Square, managed by the Integrated Facility Management Services Ltd refused us access to inspect the premises demanding us to present a police permit, when actual approval for the use of the Eagle Square has been sought and paid for more than one week to the said declaration,” it further stated. The former Kano governor is scheduled to declare his ambition to contest the presidency Wednesday.